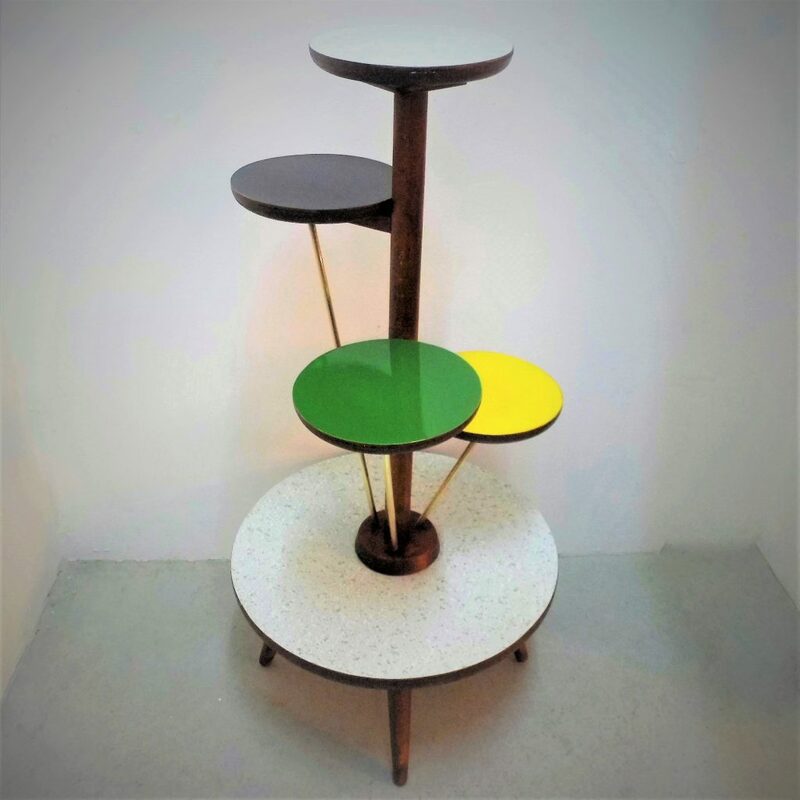 A Colourfully and Stylish MidCentury Plant Stand by Ilse of Denmark circa 1950. It is well made and sturdy and bears the IlSE Mobel 6704 stamped to its base. It is good vintage condition with wear and tear commensurate with age and use. It measures cm high overall . 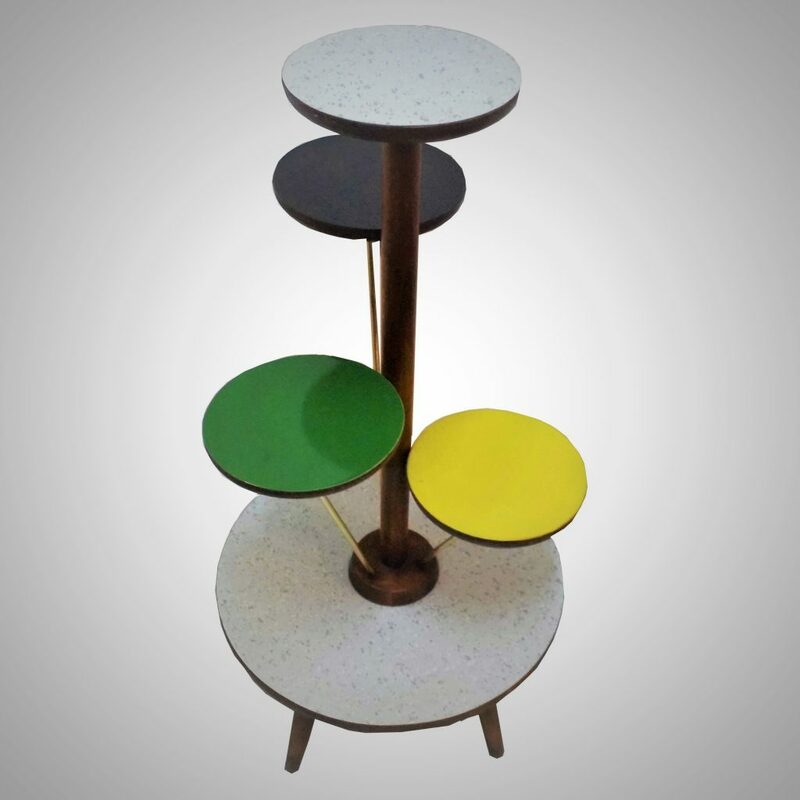 The shelves measure cm diameter and are spaced at.